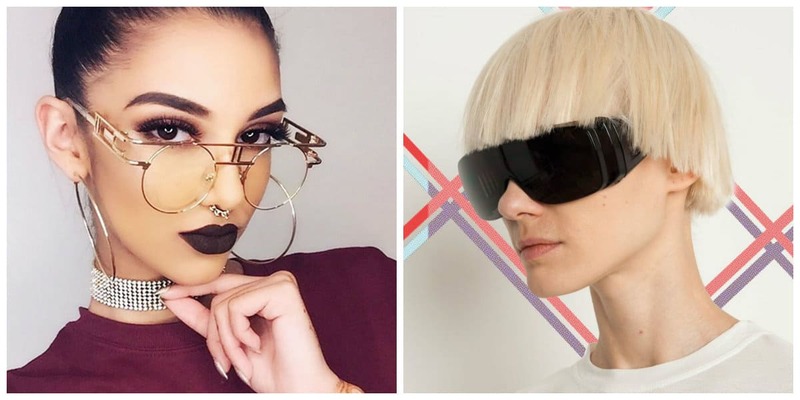 Let’s see what women sunglasses 2019 are in trend. Sunglasses are a very important and useful accessory, they not only complement the look, protect the skin around the eyes from wrinkles, but also protect the eyes themselves. All these concerns only high-quality models. Gothic, biker style, punk subculture, and others are in the past, but they will never disappear completely, and their legacy serves as inspiration for designers and stylists. Periodically, in new collections outfits and accessories with elements of style from these subcultures appear. We can see spiked glasses in Moschino’s fashion collections of sunglasses for women 2019. Rim model Sci-Fi began to gain popularity after the release of the film The Matrix, but only recently these sunglasses have become truly fashionable. This is due to the influence of the Internet, where photos of models are multiplying and spreading at lightning speed. It was the Internet, and not some model or a designer, who could make such bold sunglasses popular. 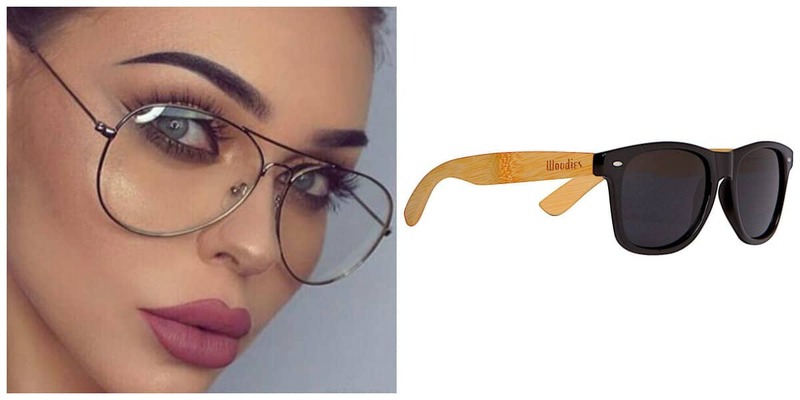 Round steampunk sunglasses can be attributed to models out of time and fashion, they are always relevant to varying degrees, but in women sunglasses 2019 round metal frame of steampunk is in trend. Recalling the model of steampunk, we must bear in mind that round minimalist frame is the simplest manifestation of steampunk. In special stores, you can find informal Goggle sunglasses, which are modified welding goggles. They completely close the eyes from the sun, but they are not suitable for any style. Warm season is characterized by rather modest selection of shades of women sunglasses 2019. Most designers prefer black glass. 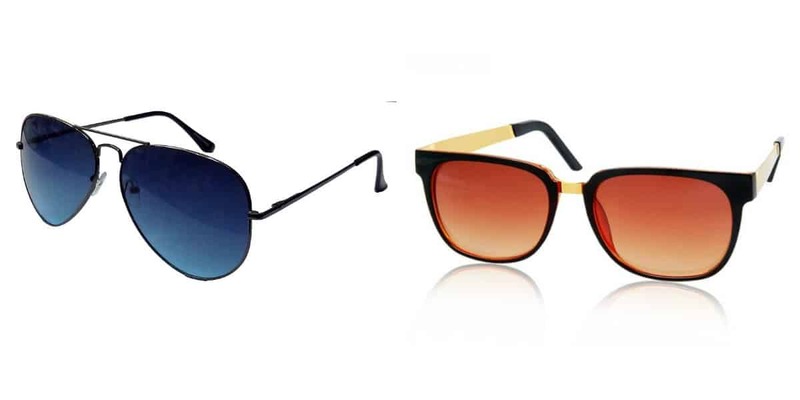 In addition, sunglasses with brown as well as dark blue glasses were often encountered, such as in collections of Milly, Fendi, and 3.1 Phillip Lim. Channel fashion house offered to wear such sunglasses when looking at which it seemed that they were completely devoid of lenses. The hit of the season are sunglasses of weird shapes. 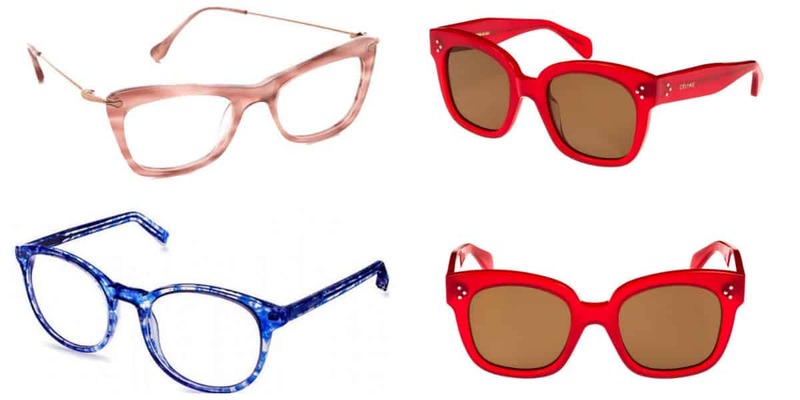 Fendi, Angelo Marani, Versace offered us, for this summer season 2019, multi-faceted glasses of various brightest colors with two-color frames. Yes, these glasses really attract attention, and you definitely won’t go unnoticed with them. 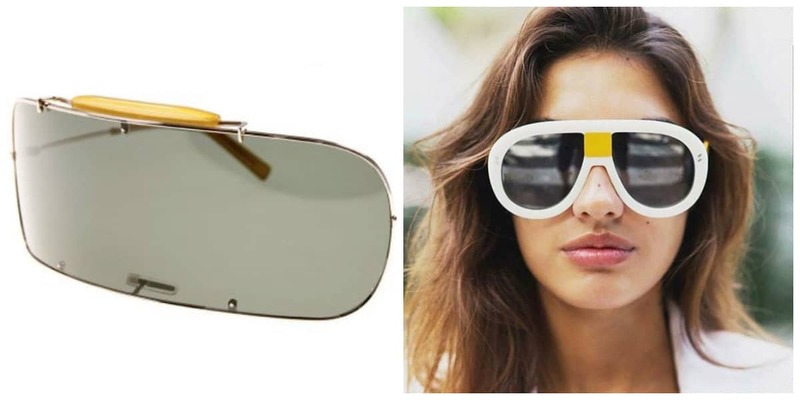 Designers of Marni brand, Alberta Ferretti, Prabal Gurung offer to try on sunglasses of irregular shapes: oval-shaped frame with hexagonal glass or cat-eye duet with modernized Wayfarer. There are several time-tested frames over which no trends can dominate. These sunglasses are always relevant, comfortable and perfectly complement the look. Designers are constantly searching for new forms and materials. Some ideas are becoming fashionable trends. Let’s see what is especially important in women sunglasses 2019. Round sunglasses don’t lose their popularity. In 2019, there are still a lot of models, in which both the rim and the lens itself are perfectly round. There are those where the rim is of more complex shapes, and the lens is round or slightly oval. The most common type is a plastic frame. It is light and can be made in any color, therefore serves as an excellent complement to a fashionable look. Plastic is not a new material at all, but now it is experiencing a new peak of popularity in the fashion world. Plastic is made not only from spectacle frames but even for dresses, bags and boots! In addition to plastic, wood and metal are in demand in fashion 2019 trends. Wooden sunglasses are very warm and environmentally friendly. Recently, many brands and small workshops have been experimenting with wooden frames manufacturing. Some manufacturers get chic models and these are not necessarily famous brands. For wooden glasses from masters, you will have to pay even more. Looking through the collections of sunglasses for women 2019, you can’t miss the rectangular sunglasses. In some cases, the lens takes a form of a real rectangle, other sunglasses have more elongated shapes and smooth corners. There are also very narrow rims. Despite the abundance of such forms in new collections, it is worth thinking about their practicality before buying. Fashionable sunglasses may suit your style, but if you remember practicality, narrowed rectangular frames are not the best solution. Cat’s eye sunglasses belong to classic models, they will never lose their popularity. Modish cat’s eye sunglasses are the most feminine and seductive frames. These sunglasses are a perfect complement for the retro style looks. Every season the designers improve this model and offer new solutions. An oversize and an unusual rim is not for everyone, nonetheless, is not going to leave the fashion catwalks. In case the benefits of large-size clothing are highly questionable, then large-sized sunglasses bring real benefits. In hot summer, and especially in sunny countries, you should protect your eyes and face from the sun. An oversize frame will create a barrier to sizzling rays better than any sunscreen. Therefore, if you want to stay young and beautiful, wear hats, baseball caps, and sunglasses of large sizes. Also, an unusual rim can best reflect your mood. Not surprisingly, the most popular material for frames and lenses is plastic. Manufacturers are experimenting with formulas and additives to give their products the best properties, but so far there is nothing truly revolutionary. 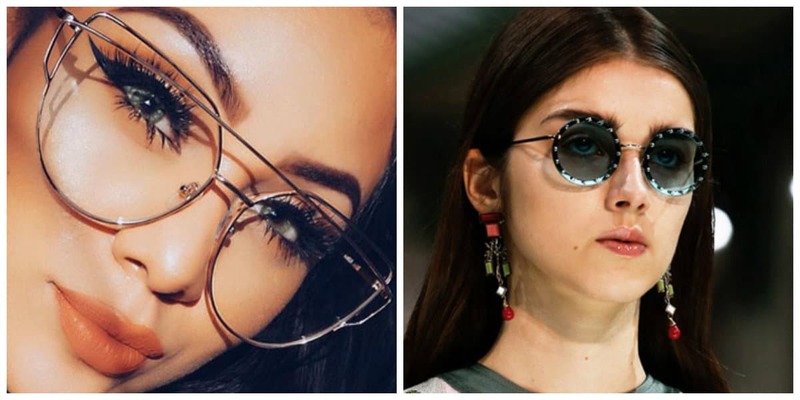 What color frames and lenses of sunglasses for women 2019 are in trend? There are no clear leaders, except for one color. Black will always be more wanted than the others, but otherwise, choose appropriate and favorite shades within your own preferences. Dark blue, green and red lenses are in trend. Concerning the frames: neon shades, bright colors are in fashion. The color of the frame and lenses can be very different, but if we can give a complete freedom with the frame to your desires, then with the color of the lenses you need to be more selective because not all shades are useful for eyes. Therefore, choose sunglasses with tested shades of glasses. Unusual women sunglasses 2019 of complex shapes are seen in Jeremy Scott collection, and the models with the most luxurious decor have been prepared by Dolce & Gabbana. Today, glasses can play into your hand, if you choose the right frame and be able to wear them. Many people think that it is easy to choose sunglasses and buy the first frame they like. In fact, a choice of a rim is not easy. Frame of sunglasses is chosen in accordance with the face shape, the shape of your eyebrows, color of your hair and the style in general. 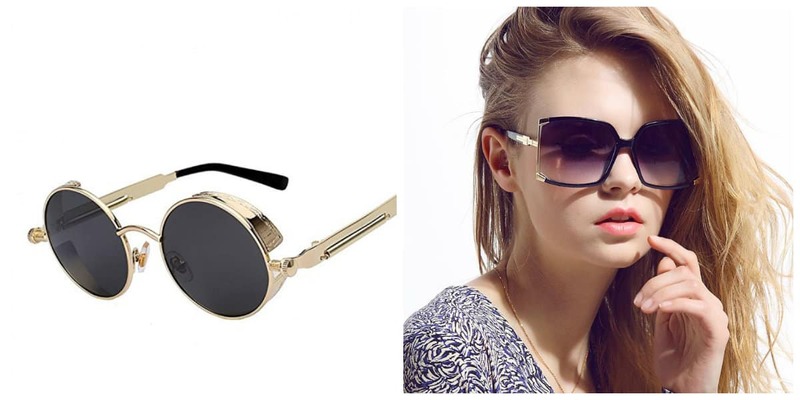 Only the right rim will give you a truly beautiful look with sunglasses!